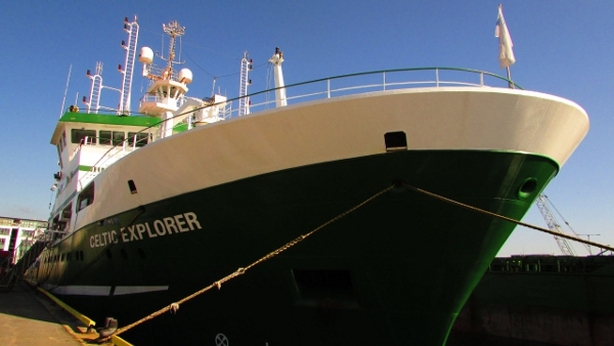 A previously unknown area of cold-water coral habitat has been discovered in Irish waters.A team of international researchers, led by Professor Andy Wheeler from University College Cork, made the finding while carrying out a survey in the Atlantic on the Marine Institute’s RV Celtic Explorer. 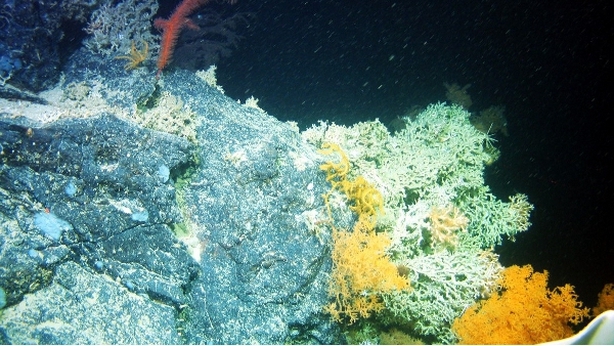 The coral was found on a submerged vertical cliff 800m below the surface of the sea while the team was mapping in the area around the Porcupine Bank Canyon, 300km offshore from Dingle, Co Kerry. 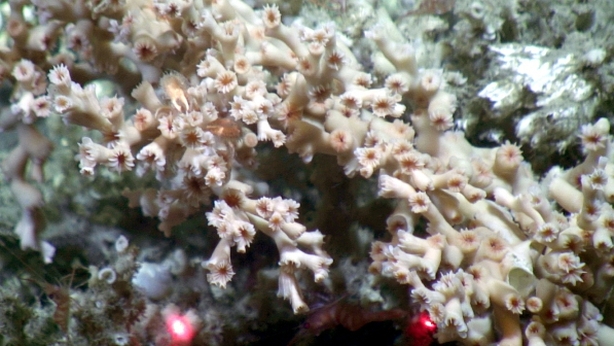 It is thought the area that has been discovered could double the amount of cold-water coral previously thought to exist in waters off Ireland. 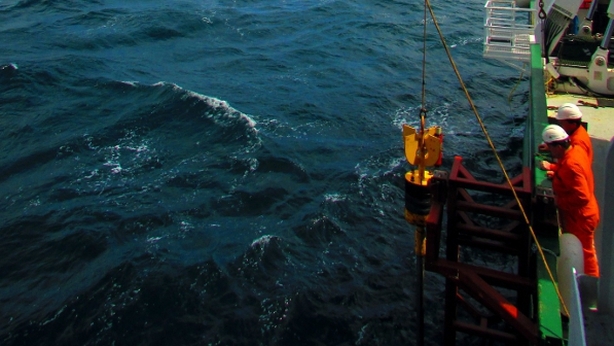 The team used a remotely operated submersible vehicle (ROV) to explore the canyon area in more depth. They manoeuvred the ROV from a depth of 2,100m in the middle of the canyon up its wall to where it found the coral reef at a depth of 700m. According to the scientists, the previously unseen cliff was covered in corals and other associated organisms like sponges, crabs and fish.